Queen Elizabeth II is now the longest reigning monarch in British history, having broken Queen Victoria’s record on 9 September. To commemorate this, a special photographic Long To Reign Over Us exhibition is currently on show at Buckingham Palace (until 27 September 2015) and Windsor Castle (until 27 January 2016). Each of the displays celebrates The Queen through a selection of photographs from 1952 to the present day. The images include official portraits and photographs of Her Majesty undertaking visits in the United Kingdom and across the Commonwealth, as well as those capturing informal family moments. Royal Collection Trust: Long To Reign Over Us exhibition at Buckingham Palace and Windsor Castle. Photo: © Royal Collection Trust. Windsor Castle is the oldest and largest inhabited castle in the world and the favourite weekend home of The Queen. There are lots of things to see, including the magnificent State Apartments, St George’s Chapel and Queen Mary’s Dolls’ House. It is open throughout the year, but from September to March you have the added bonus of being able to visit the Semi-State rooms which are actually used by the Queen for official entertaining. The Castle gets more than 1 million visitors every year, many of which are groups escorted by Windsor Castle-authorised Blue Badge Tourist Guides, who are the only tour leaders permitted to guide within the precincts of the Castle. 1. The Queen was born at 2.40am on 21 April 1926 at 17 Bruton Street in Mayfair. 2. She was christened Elizabeth Alexandra Mary in the private chapel at Buckingham Palace. 3. She was educated at home with Princess Margaret, her younger sister. 4. She travelled on the London Underground for the first time in May 1939. 5. In 1940, at the height of the Blitz, the young Princesses were moved for their safety to Windsor Castle, where they spent most of the war years. 6. Princess Elizabeth and Prince Philip first met when they attended the wedding of Prince Philip’s cousin, Princess Marina of Greece to The Duke of Kent, who was an uncle of Princess Elizabeth, in 1934. 7. The engagement between Princess Elizabeth and Lieutenant Philip Mountbatten RN was announced on 9 July 1947. Prince Philip was born Prince Philip of Greece and Denmark. 8. The Queen and The Duke of Edinburgh were married in Westminster Abbey on 20 November 1947 at 11.30am with 2000 invited guests. 9. Queen Elizabeth II is the 40th monarch since William the Conqueror. 10. The Coronation took place in Westminster Abbey on 2 June 1953. 11. The Queen takes a keen and highly knowledgeable interest in horses. Other interests include walking in the countryside and working her Labradors, which were bred at Sandringham. She is also keen on Scottish country dancing. 12. The Queen is the only person in Britain who can drive without a licence or a registration number on her car. She learned to drive in 1945, when she joined the women’s branch of the British army. She is believed to be the only monarch in British history who has been properly trained to change a flat tyre or a spark plug. 13. She doesn’t have a passport. 14. She first flew in an aeroplane in July 1945. 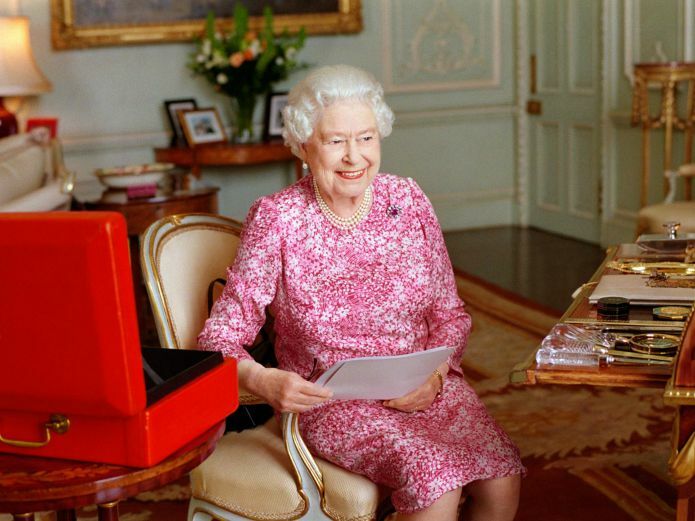 This photograph of The Queen by the renowned British photographer Mary McCartney was released to mark the moment Her Majesty became the longest reigning British Monarch, 9 September 2015. 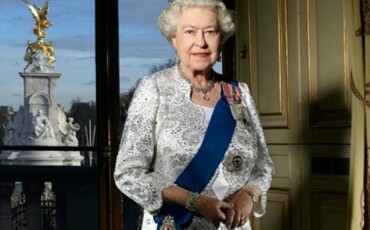 Photo: ©Her Majesty Queen Elizabeth II. 15. The Queen has a bank account at Coutts & Co. There is a Coutts ATM machine in Buckingham Palace. 16. The Queen has nine Royal thrones – one at the House of Lords, two at Westminster Abbey, and six in the throne room at Buckingham Palace. 17. The Queen is 5ft 4 inches or 160cm tall. 18. She has worked with 12 British prime ministers, from Winston Churchill to David Cameron. She has also seen 12 U.S. Presidents and seven Popes in office come and go through her lifetime. 19. She sent her first email from an army base in 1976. 20. The Queen, her family and palaces cost the taxpayer £35.7 million last year. 21. Every Tuesday the Queen is visited by the Prime Minister. 22. She has owned more than 30 corgis. The first one, Susan, was an 18th birthday present. 23. The Queen is a keen photographer and enjoys taking pictures and moving images of her family. 24. Her signature handbag is made by British luxury leather manufacturer Launer and costs £1000. 25. She has an estimated personal net wealth of £300 million. She doesn’t have to pay tax, but she has voluntarily chosen to do so since 1992. 26. She is immune from prosecution and she is exempt from Freedom of Information requests. 27. She has sat for at least 130 official portraits during her reign. 28. Madame Tussauds have showcased 23 different waxworks of Her Majesty to date. 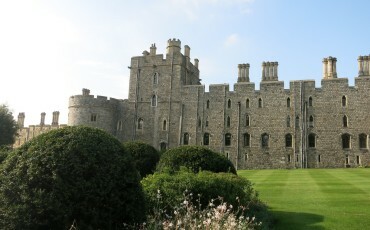 Windsor Castle is the largest and oldest inhabited castle in the world. 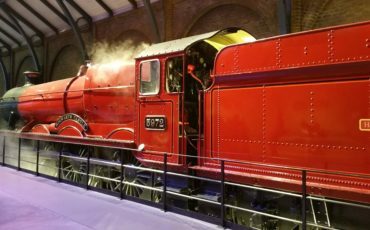 It is located about an hour from central London and visitors can see the sumptuous State apartments, the spectacular display of heraldry in St George’s Chapel and even take a peek at the Royal residential apartments.